MOSCOW, December 4. /TASS/. The World Bank had upgraded its outlook for Russia’s GDP growth rates for 2018 to 1.6% from 1.5%, according to Russia Economic Report released on Tuesday. "Overall growth for 2018 is expected a notch above 2017, at 1.6% Consumption would support growth driven by higher demand for durable goods ahead of VAT rate increase," the report said. In its previous report, the World Bank projected 1.5% GDP growth in Russia for this year. 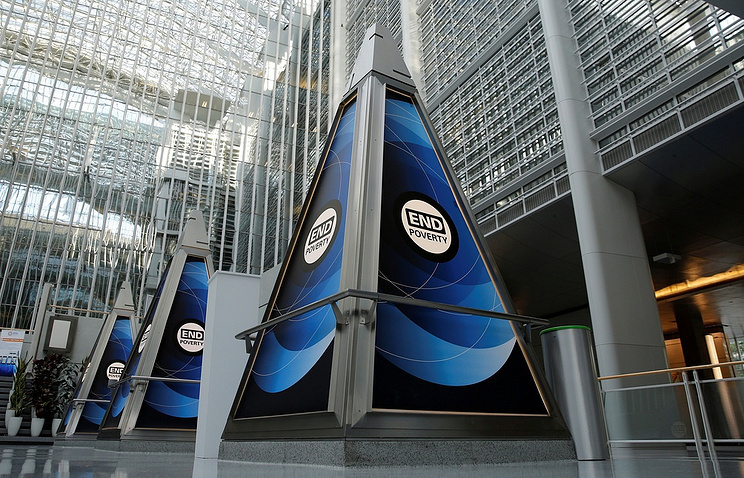 The World Bank expects the oil price to average to $71 per barrel over the next three years. "Oil prices are expected to average $71/bbl over the next three years, although there is considerable uncertainty to the forecast. Demand is expected to remain robust, with the International Energy Agency forecasting an increase of 1.4 mb/d, although their forecast has been revised down relative to earlier estimates as a result of weaker global growth and higher prices," the report said. In its June report on global economic growth prospects, the World Bank upgraded the oil price outlook for 2018 to $70 per barrel ($12 higher against its previous outlook), and for 2019 to $69 per barrel ($10 higher). A relatively high level of international reserves, a small amount of international debt (about 29% of GDP) and recently established principles of macroeconomic regulation will help Russia to limit the impact of external volatility and withstand shocks from the outside, the World Bank says in its report. "Overall, a sound macroeconomic framework with relatively high levels of international reserves ($461 billion), low external debt levels (about 29% of GDP), and a comfortable import cover (15.9 months) positions Russia well to absorb external shocks," the World Bank says.